Michael Balloch is founder and CEO of Oxford Management Strategies, Inc. He provides executive leadership consulting, leadership and performance coaching services to clients in a broad spectrum of industries. Click here to see the list. Michael brings a proven track record of sound business thinking, complemented by strong implementation skills. His insightful, no-nonsense approach has helped dozens of clients in virtually every type of industry, including manufacturing, healthcare, technology, logistics and many professional services. 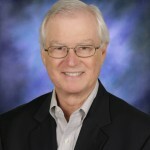 Michael began professional coaching in 1993, capitalizing on his leadership positions in business, civic and social organizations, and his experience as a successful business owner. Throughout his professional career, he has gained extensive experience in general and executive management, focusing on profit maximization. Michael has held positions with global companies, including leadership roles with General Dynamics, Xerox and Lotus Development Corporation. He also has owned several companies in software development and international logistics. This experience enabled Michael to play key supportive roles in helping highly capable people achieve more and experience great fulfillment. Michael challenges and inspires clients to discover their potential, identify and create opportunities, and lead with their personal strengths. Michael served as Chair with Vistage International for 14 years from 2001 to 2015. In 2009, he was recognized by Vistage International as the “Robert Nourse Chair of the Year,” an award honoring the highest performing Chair in the United States given each year. Vistage is the world’s largest membership organization for Presidents and CEOs. Michael is a member of Free Masons and the Scottish Rite 32nd degree. He is on the Board of Advisors of Sportview Technologies, a provider of audio/visual systems, solutions and integration throughout the United States. Michael is a graduate of Rochester Institute of Technology, Rochester, New York. He and his wife, Susan, have two daughters and a son. In addition to his passion for work and family, Michael enjoys golf, cooking, woodworking and traveling. Managed by A+ Services, Inc.